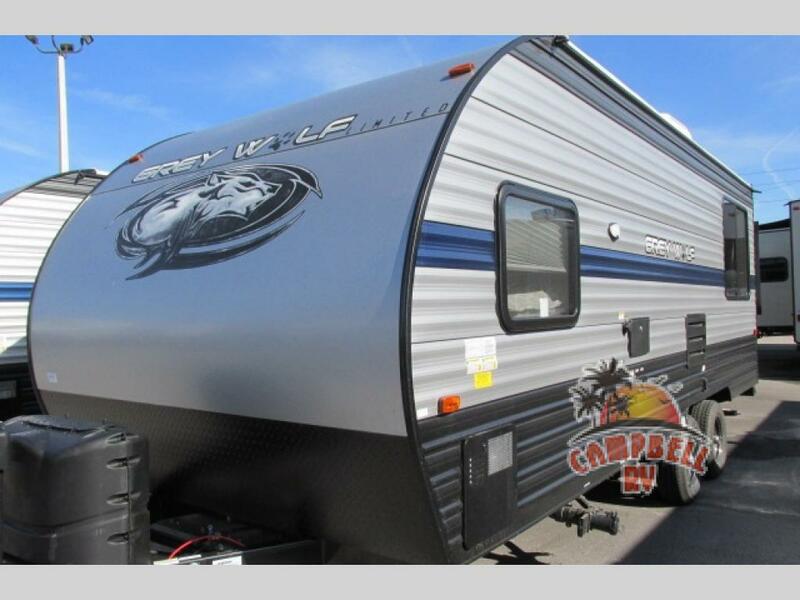 The exterior provides large radius luggage doors and a beautiful patio awning that you’ll be able to enjoy when your campsite does not have any shade. The Grey Wolf also has a one piece roof material and beautifully upgraded graphics. As we previously stated, this travel trailer is durable, which has to do with the two-toned exterior metal and the aerodynamic radius front profile. Enjoy sitting outside under the awning during the day, reading and playing games, listening to the radio or your own favorite music in the outside stereo speakers. Some of the main interior features include a convenient breakfast bar with stools, radius cabinets, slide outs with a sun room, and a nice large bathroom that you will love. The spacious interior gives an extremely homey space for all of you to be able to live comfortably. The residential seating options include a 40″ dinette (most models) that will provide you with enough room to have a fun night of card games once in a while with friends and family. If you decide to purchase a bunkhouse model (which is perfect for large families! ), it provides a u-shaped dinette with pedestal legs. A huge, spacious pantry is featured in some of the models, giving you an abundance of storage for all of your camping needs. You’ll love having ample space when you have to feed so many people! Check out the Grey Wolf floorplans to see in greater detail all of the features it comes with. 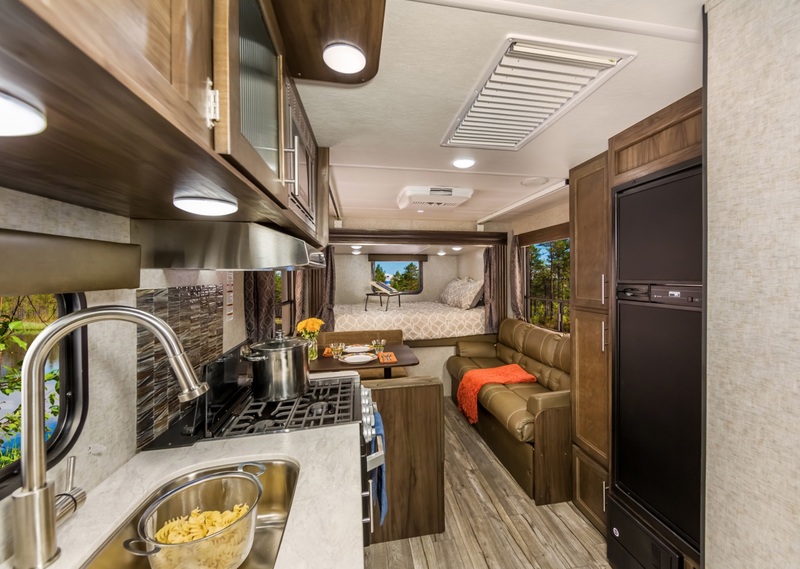 With our New 2019 Grey Wolf Cherokee Travel Travel, you’ll fall in love with camping–and not only camping–but camping right! If you have any questions concerning this travel trailer or any of our New RVs for sale, please contact us today! We wish you happy camping!